From the priceless art to the shared sense of community, these places are more important to us — atheists and otherwise — than we care to admit. Like many devout atheists, I’ve always had a thing for churches. The last time I visited Paris — with some friends about a year and a half ago — we decided to start off our tour of the city’s many delights at the Notre Dame Cathedral. Where better to spend a wet Monday afternoon, we thought, than inside a gorgeous 800-year-old work of art. Sadly for us, quite a few other people had the same idea: The line that greeted us wrapped around the proverbial block and then some. We were told by church officials it would take the best part of two hours to get to the front of it and so we moved on. If we’d known then that the church would inexplicably go up in flames, as it did on Monday, and that day would have been our last chance to see it in all its glory, we would have stayed in line all day. Judging by the sheer numbers of enthusiastic visitors to Notre Dame and Paris's other cathedrals on a daily basis, clearly quite a few people share my enthusiasm. The line my friends and I encountered on that wet Monday in July was no aberration: With an average of 13 million visitors a year, the cathedral of Notre Dame is the most popular destination in all of Paris by a considerable distance — no small feat in a city where every door knob is worth a second look. 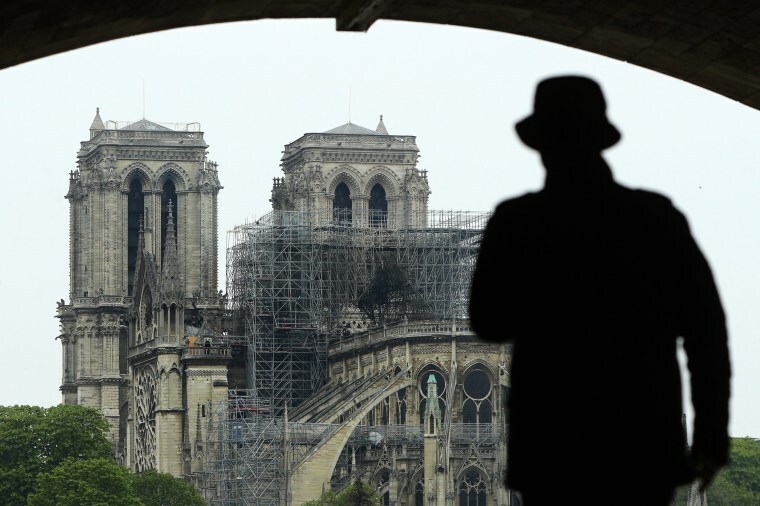 Much of what’s been written following Monday’s disaster has understandably focused on Notre Dame’s historic, architectural and cultural importance. Kings and queens have been married here; Joan of Arc was beatified here; the liberation of Paris after World War Two was celebrated here. But as a divided world watched this fabled cathedral go up in flames, what united us in grief may have been something more nebulous: The loss of a shared sacred space, open to all and sundry, the likes of which we know we will never see again. Construction of this gothic medieval masterpiece began in 1163 and was completed — the first pass at least — nearly two centuries later in 1345. Looking at the end result before the fire, from the brickwork to the spires, the wood carvings to the vaulted ceilings, it’s hard not to believe that everyone involved in its construction, from the artists to the humble bricklayers, were not somewhat divinely inspired. In this irrational alleged "Age of Reason," where expediency rules the day and where we are guided (whether we like it or not) by profits rather than prophets, it’s impossible to imagine any organization or group of people, no matter how charitable, embarking on such an endeavor. Who in these dark times would devote their blood, sweat and tears to the construction of something beautiful that they themselves may never live to enjoy? Who would ever conceive of creating a structure so seemingly divine that its grip on the public imagination will long outlast the bad behavior of some of those who worshipped within its walls? Who will ever again embark on such an endeavor just so that ordinary people can have a shared and sacred space in which we can get a temporary reprieve from the mundane concerns of our day-to-day lives? No wonder then that in its first editorial on the fire — published while the cathedral was still engulfed in flames — The Guardian wrote, “It feels as though the very heart of France and the soul of Europe have been suddenly and viciously ripped out.” And, as we watched the viral footage of Parisians kneeling and weeping near the church to sing "Ave Maria" and other hymns, as if they needed to flood the suffering space with whatever spirituality they could conjure up, it was easy to see why even the least God-fearing among us would feel crushed. How strange, though, that among the first words written by citizens of one largely secular nation (that infamously rejected Catholicism centuries ago) to comfort the citizens of another largely secular nation referenced the pain in our hearts and souls. Could it be that these sacred spaces are more important to us — atheists and otherwise — than we care or dare to admit? While only an estimated 5 percent of France’s predominately Christian (and majority Catholic) population practice their religion on a regular basis, their churches occupy a special place in the nation’s psyche. In an interview given long before the fire, Notre Dame’s organist-titular, Philippe LeFebvre. spoke of how “In the memory of the people, in the life of the people, it’s the place where they can be together.” In times of tragedy particularly, he said — such as the aftermath of the Paris terrorist attack or Flight 447’s harrowing end — thousands of people will flock to the church even as the is event unfolding. It’s understandable then that when the church itself was on fire, people the world over united not just in sorrow but in a determination to help the church overcome its own tragedy. Clearly, then, many of us feel the loss of these sacred spaces in civic life and, when the space is as magnificent as the Cathedral of Notre Dame, that loss is magnified. At time of writing it seems much of the glorious wooden roof is lost, the spire and much of the roof is gone, the rose windows are only in "good" condition, but the front towers and the external frame appears to be intact and most of the artwork has been saved. While this gives us reason to hope, the road to restoration is going to be a long and painful one. Even as Notre Dame struggled to raise funds for the renovation it had been undergoing, the church never wavered from its commitment to remain free to its millions of visitors. As a gesture of our gratitude, when the buckets begin to go round for its resurrection, we should consider emptying our pockets; perhaps if more of us had when it stood in its full glory, we wouldn't have to wonder what will remain of it today. 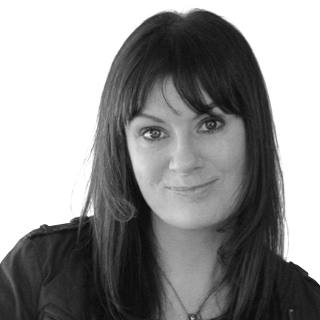 Sadhbh Walshe is a filmmaker and journalist whose work has appeared in The Guardian, The New York Times, The New York Review of Books, The Irish Times and Al Jazeera. She was a staff writer for the TV series "The District" and is currently working on a screenplay.